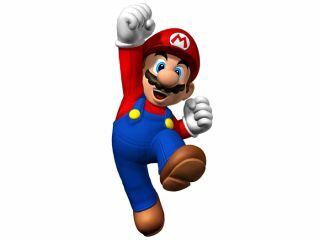 Nintendo has won its lawsuit against an Australian web pirate who uploaded the Wii game New Super Mario Bros on to the internet and shared it illegally. The man in question, James Burt, has been ordered to pay AD $1.5 million to the games giant, which equates to around £840,000. Burt was caught when Nintendo used a company which "employ[ed] the use of sophisticated technological forensics". This technique found that Burt's uploaded version of New Super Mario Bros was in fact the first pirated copy of the game in the world. It's rare that a corporation would hit a single person with such a fee, but now Burt will have to find some way of paying back the fine. The amount of money in question is, according to a press release, "to compensate Nintendo for the loss of sales revenue caused by the individual's actions". Considering the company sold more than 10 million copies of the game, despite the copyright leak, the whole thing smacks of Burt being made an example of. Whatever the reason, the high price being paid may well sway some from distributing illicit content online in the future. Well, that's what Nintendo's Australia MD Rose Lappi said about the case: "It's not just about us. It's about retailers and if they can't sell the games then they have to bear the costs associated with that." You just keep telling yourself that, Ninty!